"There's some serious stuff going down… I find giants, I hunt giants, I kill giants." Whoa! An official trailer has arrived for a film titled I Kill Giants, which premiered at the Toronto Film Festival last year though we didn't hear much about it then. Made by Oscar-winning (for his short film Helium) Danish director Anders Walter, the film stars Madison Wolfe as a precocious young woman who believes in the Dungeons & Dragons world in order to escape the struggles of her own real life. The impressive full cast includes Zoe Saldana, Imogen Poots, Jennifer Ehle, Madison Wolfe, Noel Clarke, and Ciara O'Callaghan. So this actually looks great, I'm surprised there hasn't been more buzz about it, though it does remind me of A Monster Calls. I love the monster ears she wears, a cool little touch. You may want to check out this trailer. Life is not easy for our young heroine, Barbara Thorson (Madison Wolfe). Defiant, precocious, outspoken, and a loner, Barbara relates more to the make-believe world of Dungeons & Dragons. At home, she makes life difficult for her older sister, Karen (Imogen Poots), who is responsible for taking care of her and her brother. At school, psychologist Mrs. Mollé (Zoe Saldana) takes an interest in Barbara's increasingly worrisome behaviour. As she deals with loss and bullying, Barbara's imagined life begins spilling into her real one and she becomes obsessed with what she sees as her quest: killing giants. It's only when she's forced to face the truth and overcome her fears that Barbara is able to confront her demons. 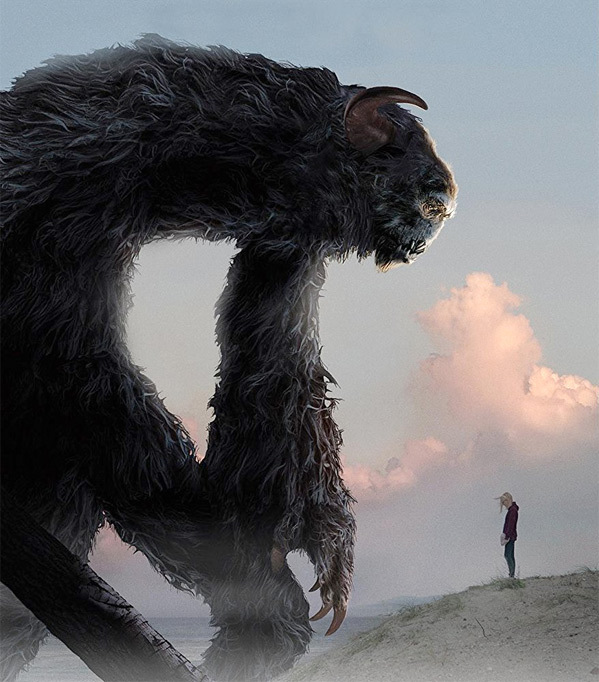 I Kill Giants is directed by Danish filmmaker Anders Walter, making his feature debut after a number of short films (including the Oscar winner Helium) previously. The screenplay is written by Joe Kelly. This first premiered at the Toronto Film Festival last year. No US release date has been set yet, stay tuned for news. Interested?